[Tweepy] flies unpowered aircraft, and he’d like to use the XCSoar flight computer app for gliders, sailplanes, and paragliders, but couldn’t find any hardware. XCSoar is an amazing app that can keep track of terrain, route, thermals, and a whole bunch of other variables that make flying more enjoyable, but running it on a device useful for a hang glider pilot is a challenge. He eventually found a nearly perfect device in the Kobo mini e-reader. It’s e-ink, so it’s sunlight readable, uses a glove-compatible resistive touchscreen, runs Android, and is dirt cheap. The only thing lacking was a GPS receiver. What was [Tweepy] to do? Mod an e-reader, of course. 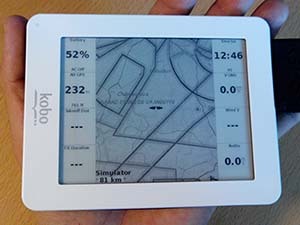 The electronic portion of the mod was simple enough; serial GPS units can be found just about everywhere, and the Kobo has a serial headers on the board. The case, however, required a bit of thingiverseing, and the completed case mod looks fairly professional. With a few software updates, new maps, and of course the phenomenal XCSoar app, [Tweepy] had an awesome flight computer for under 100 Euro. The only thing missing is an integrated variometer, but a Game Boy will work in a pinch. Our little community might not be so very little. Today the 10,000th Hacker registered an account on Hackaday.io! You may remember that we just launched our project hosting site at The Gathering on January 21st and made it public in February. There were a few pre-Alpha testers already registered, but still, that’s 10k people in four months. Why? 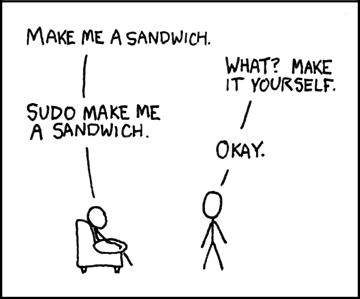 Because hacking is awesome and it’s made better if you show off what you do! Of course we’re not anywhere near done yet (technically we’re still in Alpha). We want help shaping the existing features and developing new ones. Share your ideas as comments on the Feedback project; we read those. Hackaday.io is also the gathering point for The Hackaday Prize. Give the interface a whirl, contribute to open hardware, and win a trip into space or hundreds of other prizes. What are you waiting for? Oh, one last thing, if you’re wondering what 10,000 Hackers looks like, we have a Jolly Wrencher for every one of you after the break. What happens when you take a remote controlled tarantula, an automatic air freshener, some PVC tube and a mechanical trigger release for a camera? Well, it’s definitely a hack, that’s for sure — you get a remote camera shutter release! [Michael] loves his Panasonic LX7, but unfortunately, it doesn’t have a trigger release! It does however except a hot shoe adapter to use with a manual release. All [Michael] had to do now was make it remote controlled. If you’ve ever taken apart an automatic air freshener you know that they are a treasure trove of parts, ripe for the hacking. Specifically, they have a very nice linear actuator which can be used for all kinds of fun things. 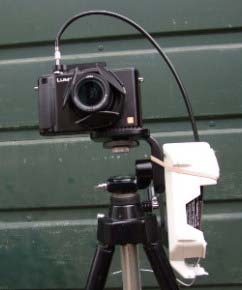 In this case, it works great for pressing the manual shutter release cable. The next step is controlling it. 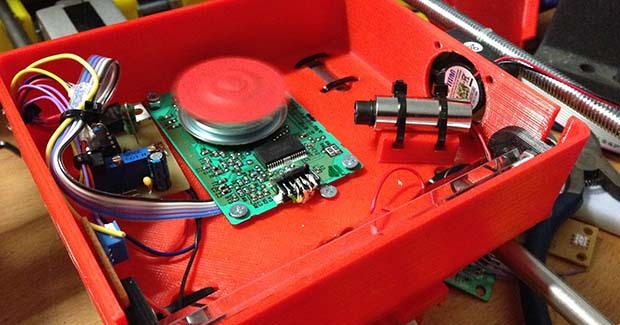 To do this, [Michael] found a cheap RC toy, a $10 stuffed tarantula oddly enough — By taking it apart he was able to make use of its controller to turn on the air freshener, effectively turning his contraption into a remote controlled shutter release. It was just one of these nights. We were sitting at the O’Neil’s San Mateo Pub, taking a break after a long day at the Maker Faire. Hackaday was hosting an informal drink-up and a steady stream of colorful characters has just started flowing in. That’s when we met [Robert Coggeshall].